We’re in a bit of a pickle this week: GDC is only a few weeks away, and there’s still a ton of great independent games that we haven’t covered yet here on TVGB. In an attempt to bring everyone up to speed as quickly as possible, I’ll be using this week and the next to deliver a concise overview of the games they should be playing/looking out for in the days leading up to GDC and the Independent Games Festival. We haven’t a moment to lose — Read on for this week’s glimpse at the very best of independent gaming. First on the list is Mark Pay and Josh Whelchel’s side-scrolling RPG, The Spirit Engine 2. Despite receiving critical acclaim for its gorgeous visuals, sound and unique, position-based combat system, Pay decided last week to make TSE2 available as Freeware, attributing the game’s less than stellar sales to an “absence of marketing.” While it’s unfortunate that Pay didn’t get the kind of return he expected from the project, it’s good to know that more people will now get to experience the game, and that the designer’s skills will be put into the open for all to see. Both Spirit Engine games can now be downloaded for free at the official Spirit Engine website. TIGSource’s Assemblee Competition had its final results announced a few weeks ago, and as expected there’s been no shortage of impressive stuff coming from this worldwide gamemaking event. The competition was split into two parts — In Phase 1, artists created graphical and audio assets. In Phase 2, programmers constructed experimental games using only the assets created in Phase 1. 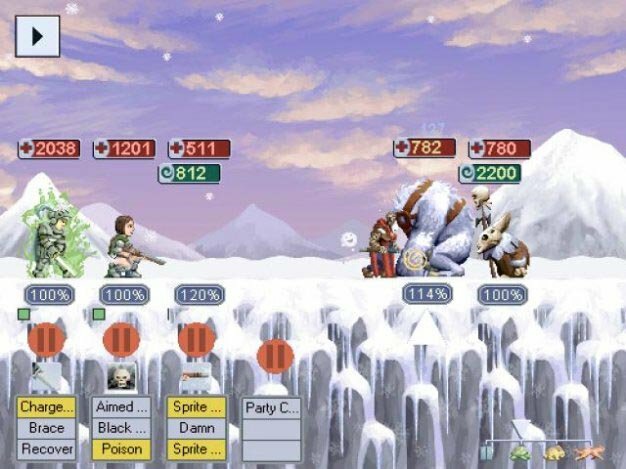 Ivan Safrin’s isometric roguelike dungeon crawler Bitworld (pictured above) took home first prize, receiving much props for its clever 2D perspective-shifting engine. Other games of note include s h i n e, an atmospheric adventure game where you find items using a flashlight, and BirdyWorld, a Zelda-like adventure game where you create the gameworld as you explore it. There’s a whole lot more to see so be sure to check out the full list of Assemblee games here. The IGF’s mobile games competition also announced its winners recently. 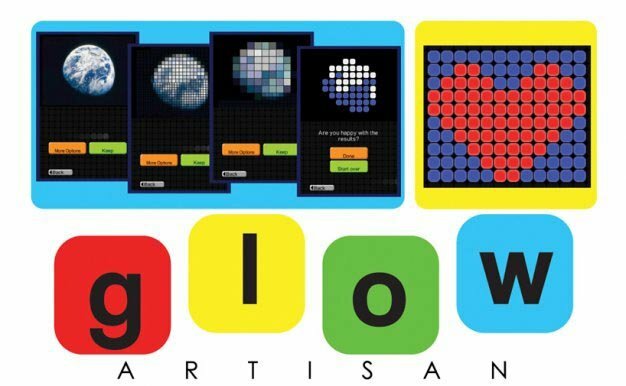 At the top of the heap is Powerhead Games’ DSiWare puzzle game Glow Artisan, which won an award for ‘Best Mobile Game Design.’ I had a chance to try it out, as well as speak briefly with its creator at the Global Game Jam showcase event at Babycastles indie arcade earlier this month. It plays sort of like a free-form Rubik’s Cube, forcing the player to solve color-coded puzzles while limiting the number of possible actions using a unique set of rules. It even allows you to create your own puzzles using photos taken with your DSi’s camera and send them to your buddies. 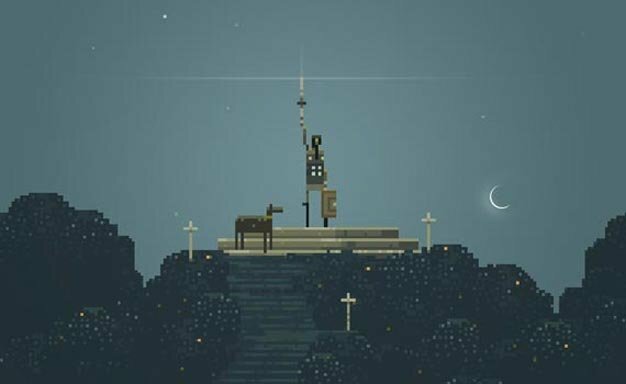 The winners circle also included Superbrothers and Capybara’s mysterious collaborative iPhone game, Sword & Sworcery EP (seen in the header image), which scored an IGF Mobile award for Achievement in Art. Months after its announcement, we still don’t know much of anything about this project, but we’re definitely looking forward to seeing what Capy and Superbrothers have cooked up at GDC — If they’re presenting, that is. Lastly, a personal favorite of mine — Lilt Line, which won IGF Mobile’s Best Audio award, is a frantic iPhone rhythm game where you pilot a line through dangerous caverns of filthy grime music. The audio truly drives the gameplay as you tap in time to a deliciously dirty dubstep soundtrack by 16bit whilst navigating your line through narrow corridors with the iPhone’s gyrometer. Basically, Lilt Line does for dubstep what Bit.Trip Beat did for chiptunes. Check out the trailer below. We’ll be back next week (and hopefully less tardy) with more pre-IGF buzz and more of the best independent games in the universe.